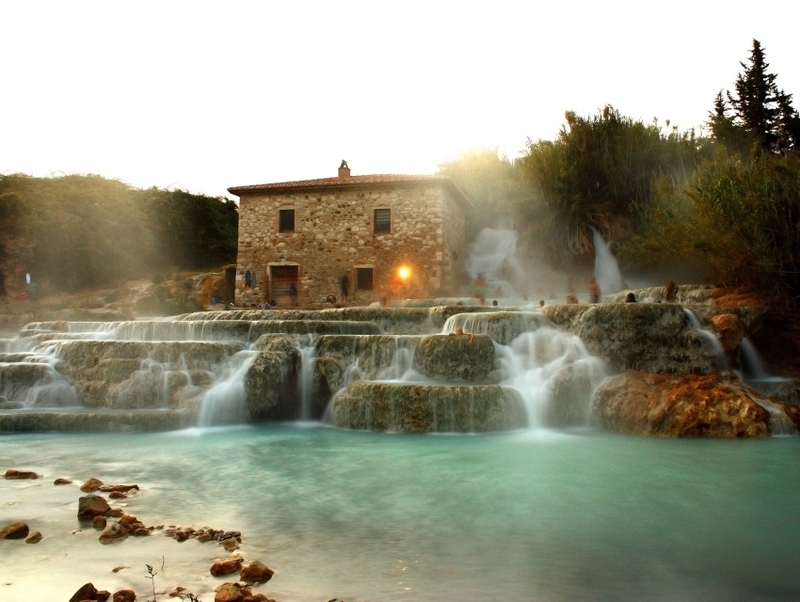 Terme di Saturnia are a set of hot springs comprising of two main thermal waterfalls and shallow pools. The luscious surroundings and beneficial properties of the water makes it a massive, therapeutic outdoor spa. And you don't even have to pay anything. Originated from a volcanic crater, the springs have been in existence for more than 3,000 years and was used by Roman royalties. A popular tourist destination for its thermal baths, relax in the steamy waters for a rejuvenating experience.